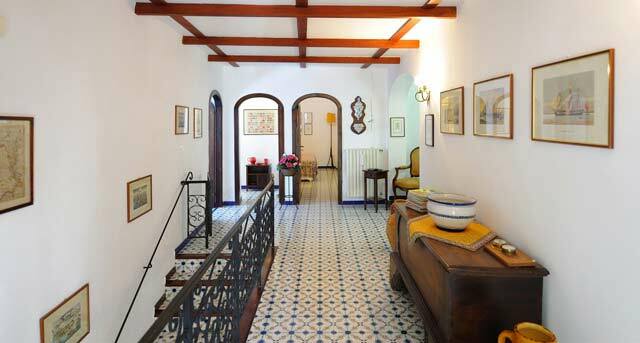 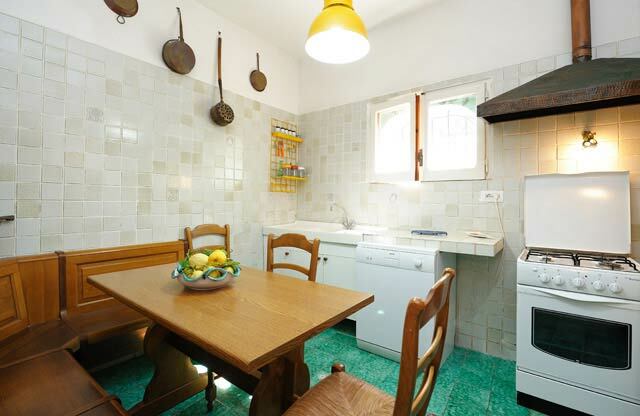 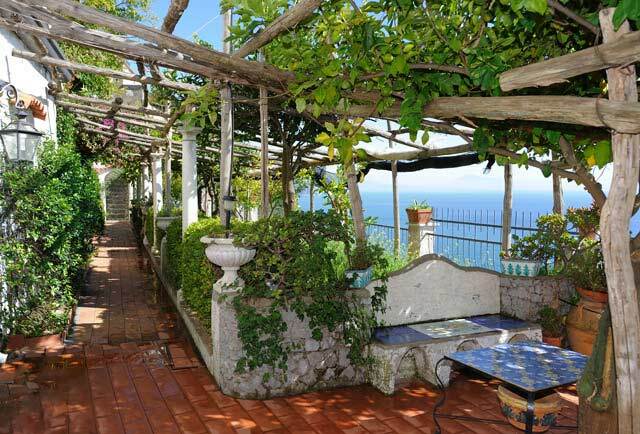 Villa Paradiso is located in Conca dei Marini, one of the pearls of the Amalfi Coast, and painted with the typical Mediterranean colours of the dark green of thick vegetation and the yellow of the famous local lemons. 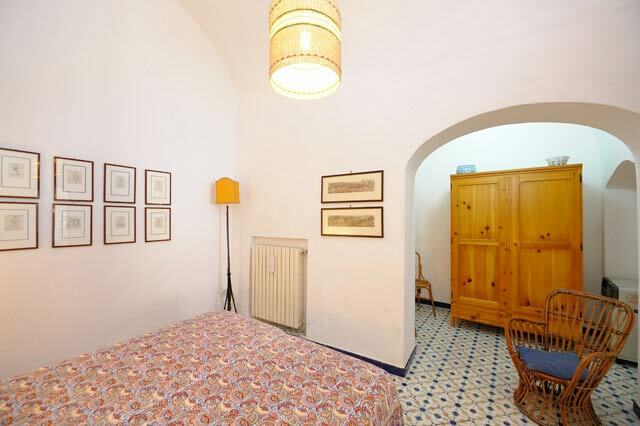 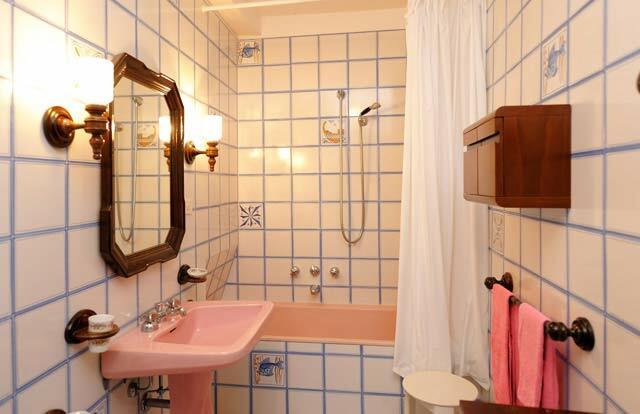 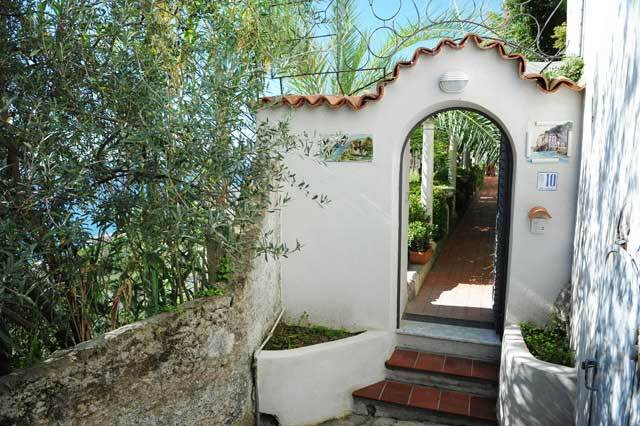 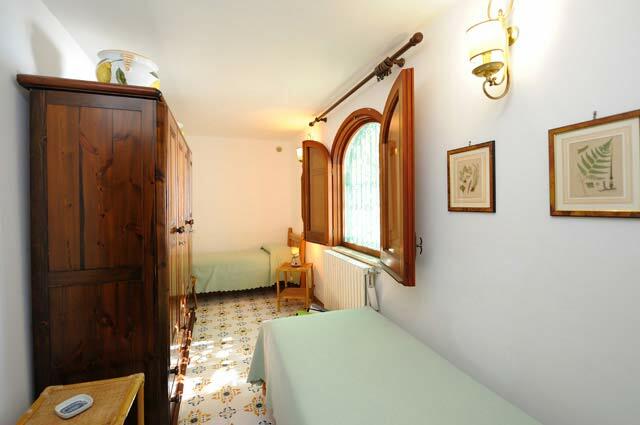 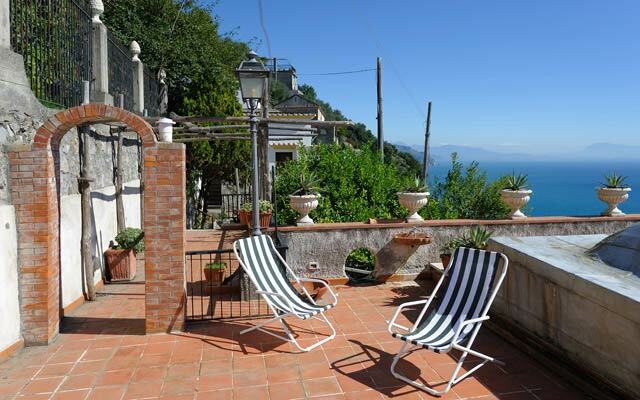 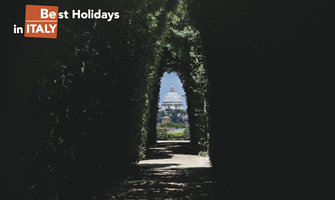 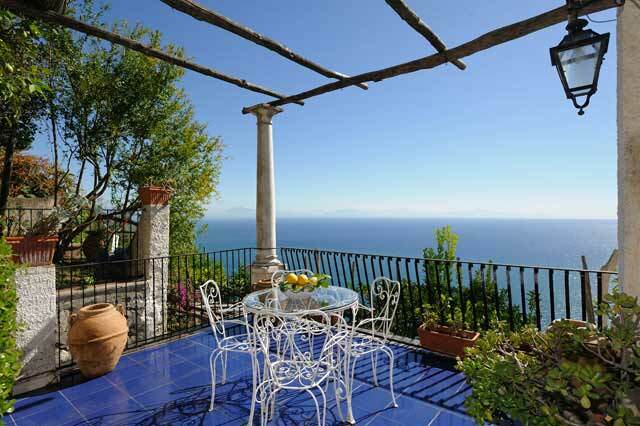 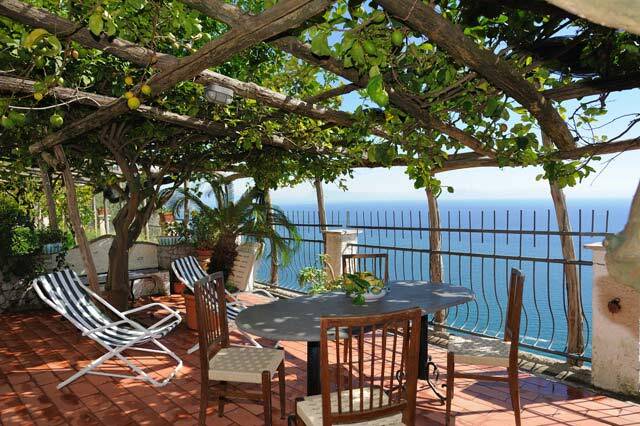 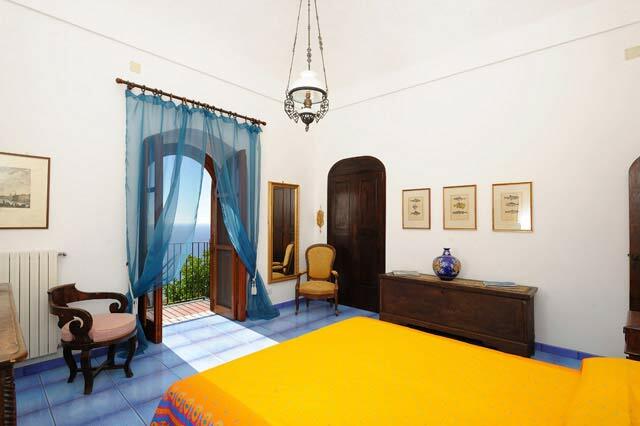 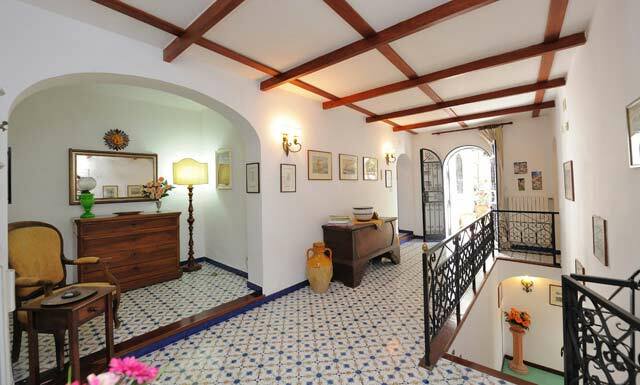 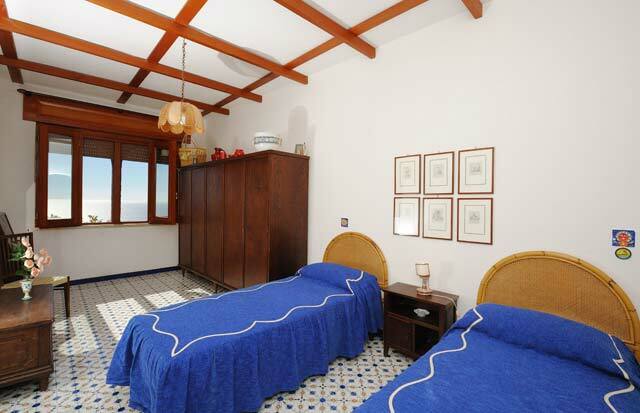 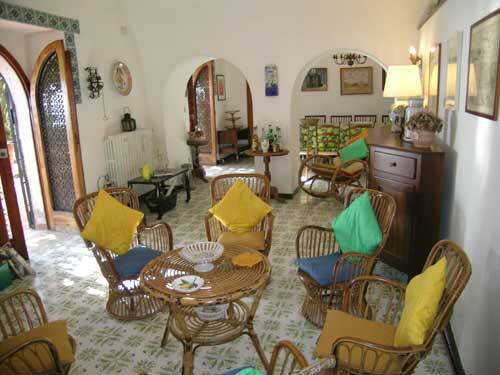 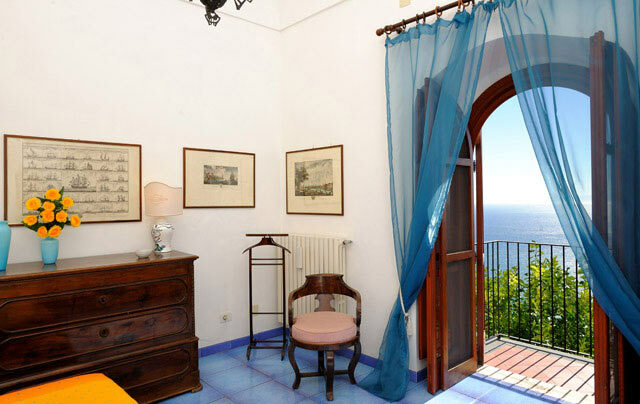 It boasts wonderful views over the Gulf of Salerno and is only four km away from Amalfi. 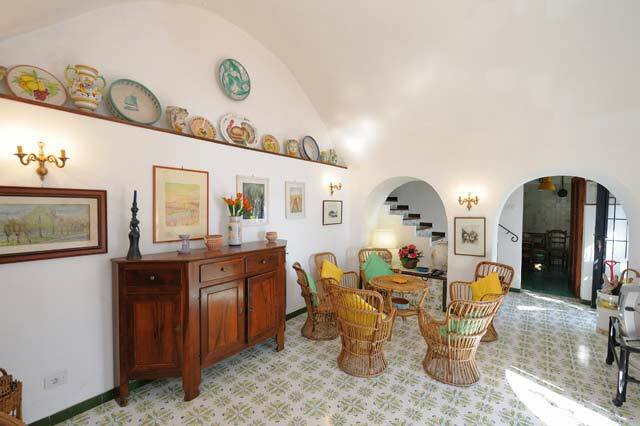 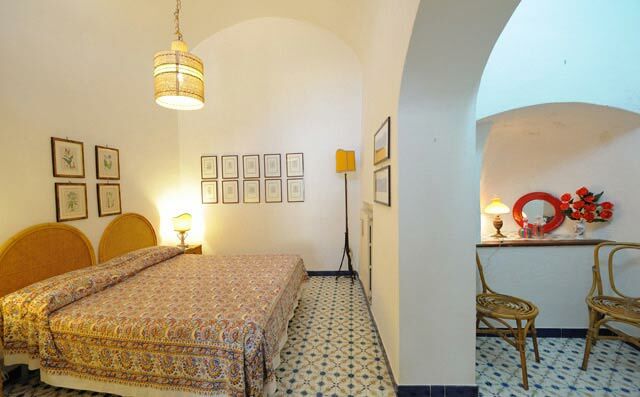 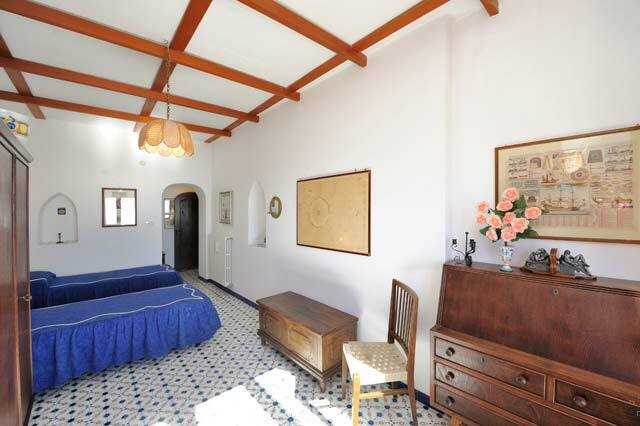 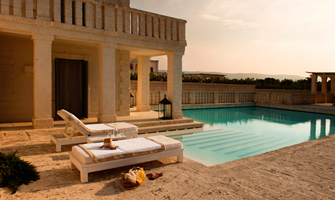 The villa is composed of two levels and is surrounded by terraces and gardens. 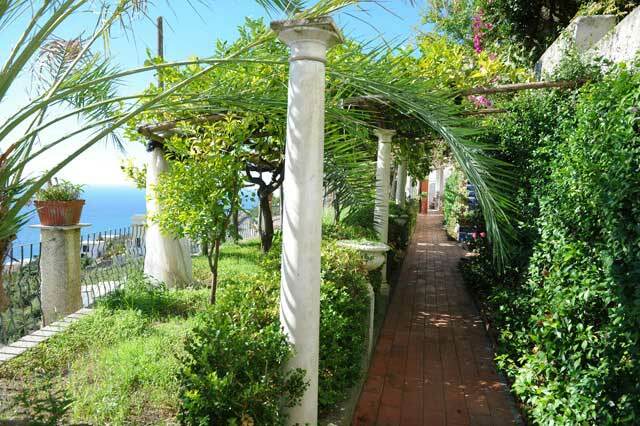 From the main road (where you can easily park the car, 70 steps take you to the entrance, from which a long and beautiful avenue leads you to a very big terrace. 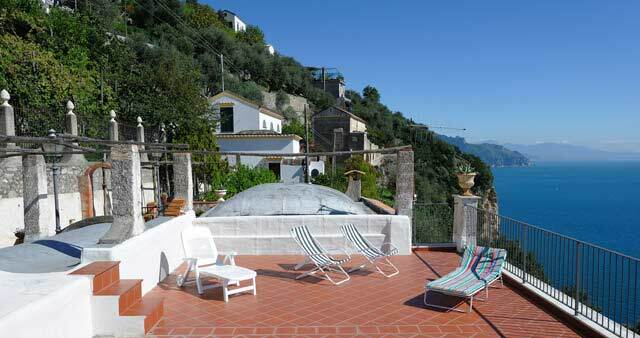 The extension of this terrace belongs to an adjoining property, used only a few days per year. 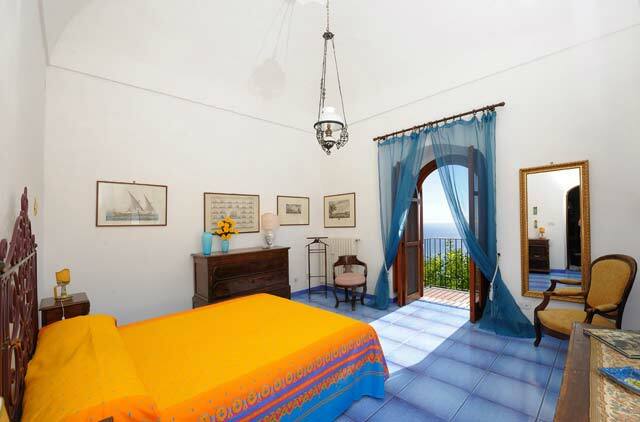 Here you will be fascinated by the perfect union between sky and sea, in an extraordinary harmony of blue tones. 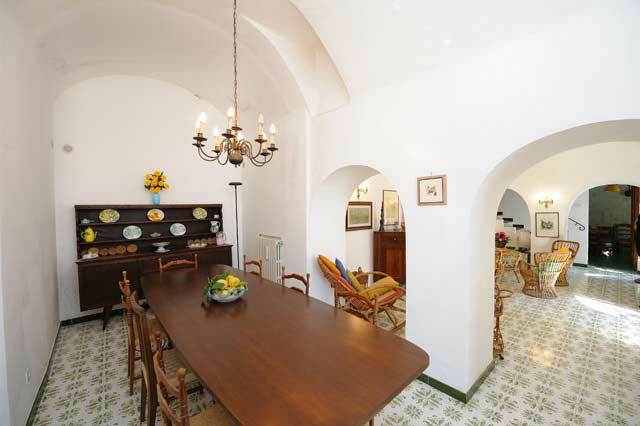 From the same upper floor you can reach another terrace with gardens, as well as a third outside terrace (the terraces are next to another property). 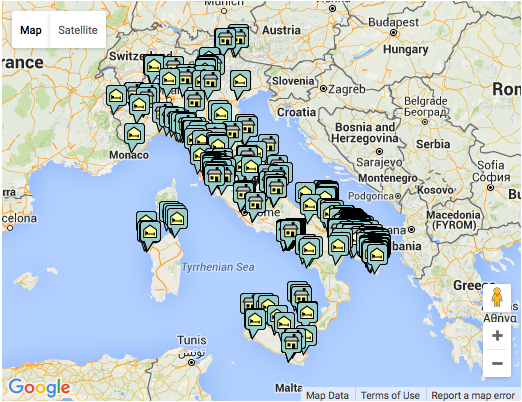 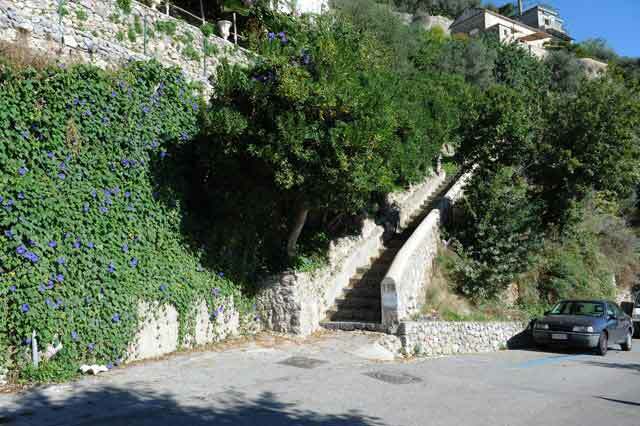 The beaches are located at 1,5 km far away from the house. 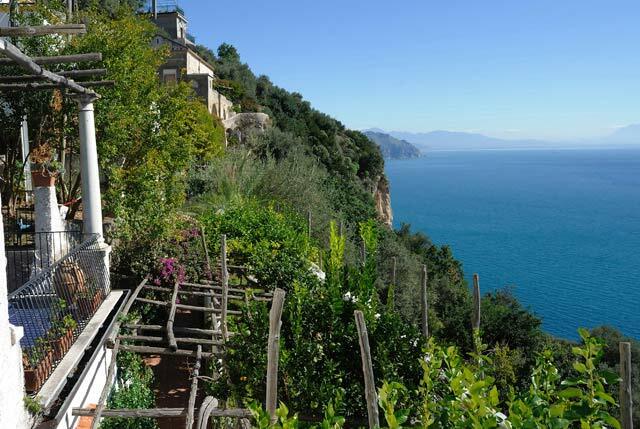 Notice that on the Amalfi Coast there are many up hills. 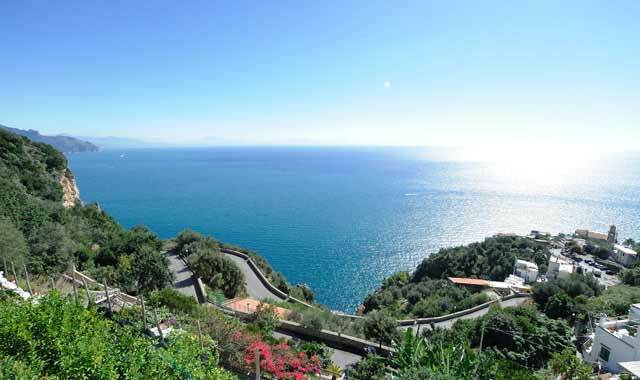 There is a beach that has a shuttle service that is included in the price of the entrance. 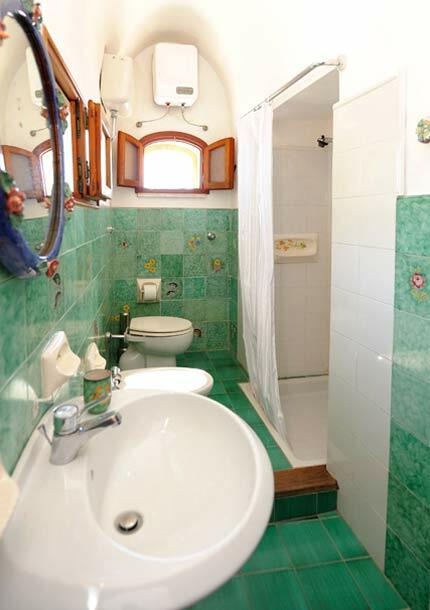 If you like to get more information please click on Lido Capo di Conca and if you need any help for your booking we would be pleased to help you! 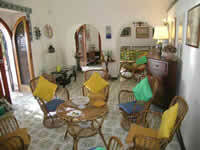 Maid service is available if requested.